I am so excited to be going to Pax this year! I have tickets for all four days, I may skip on Saturday though. I will be wandering the stalls, playing the games, and enjoying the crowds. I will also be giving out Buttons, and stickers for free all over Pax. Are you going to Pax? Would you like a sticker or a button? Hit me up on twitter @crissymoss and I will be happy to meet up with you. I will also have a few books on hand. My new title, The Ring, is a paranormal thriller. Just under 3000 words. It is 99 cents for the weekend and will be going up to $2.99 on Tuesday. (I’m giving it a couple extra days since I had technical issues and it didn’t actually get published until this morning. It will be available on both Amazon, and Kobo sometime later today. 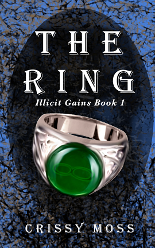 The Ring is a modern, paranormal, fantasy, and is the first in a five book series. Each book will focus on one of the items, and some of the things that happen because of them. I suppose it is a lot like “Warehouse 13”, the old “Friday the 13th” tv series, or “The Room” tv series. One item, one shenanigan, and a close. I might have to write more then five episodes if people like it. Next week “Small Bites 3” will be out. I am hoping to have all four small bites, and the accompanying “Small Bites 1-4” book out by the end of the month. The only thing that worries me, just a little bit, is that eventually I’m going to run out of half finished stories, and this once a week publishing is going to slow down. I guess I just need to learn to write faster. 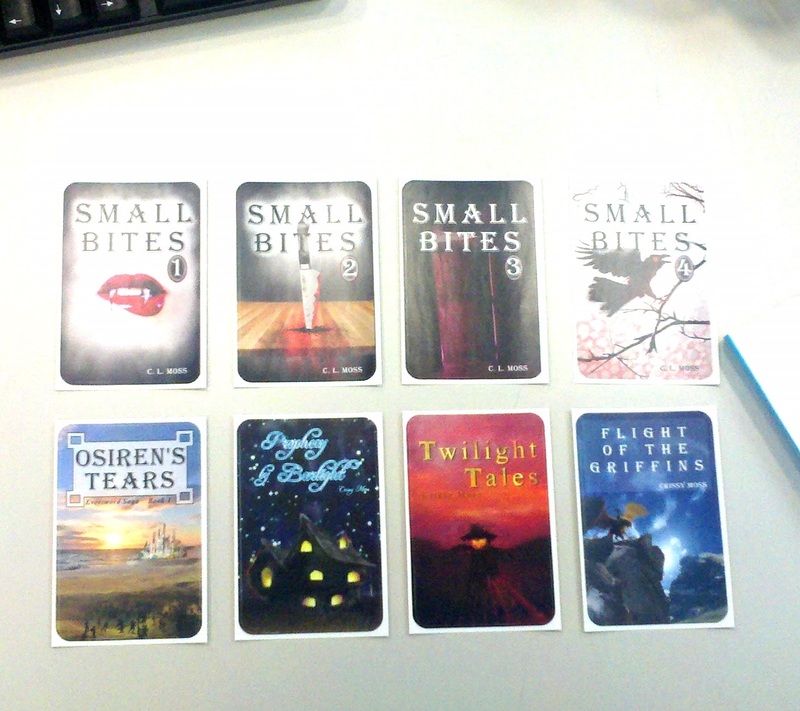 I also ordered, and received, some stickers for my book covers. Once I got the book covers in my hand I realized just how much I loved them all. I’ll be giving some out at PAX, so if you’re there let me know.